Read below for road map of instructions for using this Web-site. 1. What is the Web in Web based learning? 2. The Web as a delivery Medium. 3. The Web as a Communication Medium. 4. The Web as a Methodology for learning. 5. Uses of the Web for learning. 6. Use of the Web for learning can be divided into two main categories. Support for traditional on-site learning. By clicking on any of these four links you will be taken to a related subject page. You are a spirit in a fleshly body. Are you taking care of yourself? There is no one simple answer or solution for the integration of technology into the educational system. Neither is it relevant which topic the facilitator teaches, because the multimedia that the teacher chooses is flexible. Group two decided to present, "Physical Fitness and its Components," because the subject is not only important to the class but also relevant to society. The amazing fact about the topic is that it allows each member to provide his or her own individual slant and input. Conny was responsible for the physical exercise; Sheron prepared a presentation on nutrition, and Charles prepared the presentation on emotional and mental health. 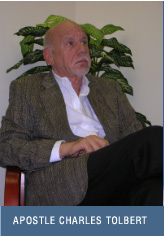 The integration of the three components (physical, nutritional, and mental), the usage of multimedia using learning styles (Dunn & Dunn), in addition to insuring that Blooms Taxonomy with relevance to computer tools were also integrated throughout the presentation would test the groups knowledge and imagination. After assignment of responsibility the important question was, "How do we present our findings?" The group focused on a Web-site presentation, but we were limited in knowledge and time to learn how to construct a Web-site from scratch. We considered Pageout but we soon realized it was limited in its ability to add links and that the student did not have access to features which would be needed for the presentation. The group then focused on Front page, unlike Pageout, Front Page did allow for expansion and linking other sites, but because of time limitations it was eliminated. The problem seemed unsolvable. If the group wanted to present their project using technology and a Web-site presentation we had to search for a site that was already constructed that could be modified for the presentation. 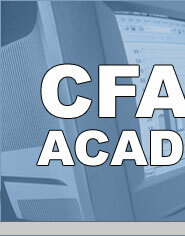 It became clear that since Charles had a Web-site, www.cfacs.com, it could be expanded to host this group project. After discussion the group elected to ask the host provider, Earthlink, how we could add a page with links to the different topics. It was determined that a page could be created which could be accessed by www.cfacs.com/health. This page could not only be useful for this group project but also was needed by Cfacs, Inc to teach the importance of being physically fit as well as spiritually knowledgeable. The group members started gathering information while coordination was being provided by Earthlink technicians, AIU library personnel, Information Technology Advisers from AIU and Cfacs, Inc. Web-site advisers. Questions concerning the Web Home Page, links to other sites, HTML usage, addition of Power Point presentation and Word Documents had to be considered. Thought also needed to be given to the unreliability of the network at AIU and an alternate plan should there be a system outage on the day of the presentation. Can a presentation of this type be backed up on a CD and the CD be provided to the students if either AIU or Earthlink's system were not operational? Can a project be prepared in fewer than five weeks and be constructed with relevance to the course requirements? And what are these requirements? The project must first be educational. The student must be entertained and still learn. The presentation would need to incorporate Dunn & Dunn learning styles. We would need to find ways not only for the student/learner to see the presentation (visual), to hear the presentation (audio), but also we would want the learner to participate in the exercise as well as link to the web site and follow the presentation on their own personal computer. A form was constructed which enabled the learner to perform their own self-evaluation and if needed to seek medical guidance prior to any physical fitness program or diet change. This form and the related exercise provide the learner with actual performance of the exercises (tactile). The group would participate in the learning simultaneously and learning station would not be used, although they could have been incorporated into the presentation, due to time constants they were not considered. Special consideration would need to be given to the bandwidth and time constraints of transmitting the data to the students. The current bulletin board Pageout system and the Internet were used to transmit information and post ideas. E-mail was used for the transmission of ideas and data that was added to the Web-site. Class time allowed the group to exchange ideas and brainstorm. In addition, when needed, the group received tutoring from several outside sources. Bloom's Taxonomy with Relevance to Computer Tools was given consideration in the construction and presentation of this project. 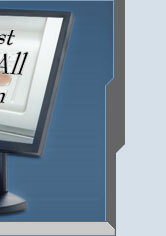 Researching the Web was done extensively in order to find relevant information that would enhance the presentation. Credit would be given to the author of any information used, and this information would be compared to the current knowledge of the student and facilitators. The objective was to insure that all possible means of teaching were considered and each method was evaluated to insure its adaptability to not only class room instruction, but also to home usage. Each aspect of the presentation was analyzed to insure its compliance with course requirements and that the presentation could be duplicated both inside and outside the classroom. Comments or recommendation by the learners/students were to be posted on Pageout for the group and other students to read. Adjustments were to be made from these comments by Cfacs, Inc. and they would decide whether or not to make this project part of their permanent Web-site. Schools today throughout the world have come to the conclusion that teaching begins earlier than what was original thought. This idea of teaching the pre-school and even in home teaching should cause the parents to re-evaluate how soon and what they should provide their children. Technology has reached back into the lives of our very young allowing them to be entertained and educated at the same time. It is even more appropriate that knowing how to apply the principles of Dunn & Dunn's Learning Styles to this young group of learners is of the utmost importance. What concerned us is that teachers may not apply tactile teaching to this young group of children between 3-7. We agreed that teachers need to be informed, keep current, and be observant of the child's behavior. In doing so they should not take the fun out of learning. We can see by reading the articles that the application of Blooms Taxonomy at the lower level hopefully will come up with a means of evaluating the success of their observations. In the same breath technology can be use to teach all ages the importance of health. Multi-media is moving into the home as well as the work place, not only will our children need to be educated concerning the application of the tools required to operate this new means of learning but the parents will have to be re-educated so as to keep up with their children. We saw that time is one of the most valuable commodities available to an individual. Therefore time management must be given the utmost attention. Teaching students regardless of age will soon be done more at homes than in classrooms and in addition Companies must learn to adapt to these changes in their teaching environments. However teachers will still need to be able to interact and direct the learner's activities. Someone will need to facilitate, direct, coordinate and evaluate this new learning. But how? Teachers will have to be re-educated in order to train and oversee this technology. Throughout the article the reader should find the applications of the theories of Bloom Taxonomy and Dunn & Dunn, but more than that, the reader should gain a greater understanding of the impact of multi-media teaching in our society today. Workstations do not resemble the presentation given by our group on Hurricane preparation. The workstation is our computer and all those wires that link it to the outside world. One of the first things that were given to Charles when he came into the ministry, was not to look for a building to teach from, but looks to teach the world (God's arrangement). 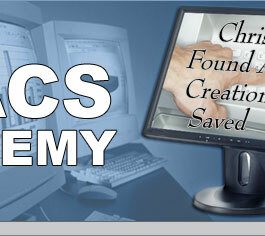 Cfacs, Inc. started with tapes and videos and went directly to the Web, several years of writing, reading, studying, and learning coming together in one place for one purpose to teach the Word. It is amazing how learning technology, theology, and education in order to fulfill the great commission is being used today. This article tells it all. We are just a small part of the future. You are part of seeing us be a part of the next generation. The solution is to create a problem. How can anyone learn unless they know what to learn and why they should learn? The problem for the student is to learn the problem, and the teacher is how to teach the student to learn. This article explained what a problem was, "A problem is usually some difficulty that we want to overcome," otherwise it would not be a problem but a solution or directive. But how does this relate to multi-media and the theories we are being taught. Let digress a moment and review the steps in defining a problem as outlined by this article. In our case, where are we now, where are we going, and how are we going to get there? If we know that as in learning we must take the first step, the purpose of the project with the interjection of Bloom, Dunn & Dunn and the use of technology. Some ideas which the article address to be considered were. 2. Define the goals and make them understandable and attainable. What do we want to achieve? Where are we going? And how will we know when we have finished? 3. Identify what has to be done to get from one place to the next? For the group project we are to present a multi-media lesson using all technology available in less than 5 weeks. The first step in problem solving after you know your goals is to know your audience. There are many ways to do research, dividing the task into small increments and delegating responsibility is the quickest. Here are some sources. 7. Hold a focus group/Brainstorm. The key here is to know the limitations of each member and their expertise. 8. Do a "SWOT" analysis. 9. Write a description of the task. j. Evaluation and re-do if necessary are addition not mentioned by the author. I have taken the time to list this and in some cases summarized it, because I believe this would help guide the group leaders. In addition, the group should stay focused on the means of presenting the project. It must be tasteful and attractive as well as entertaining and educational.